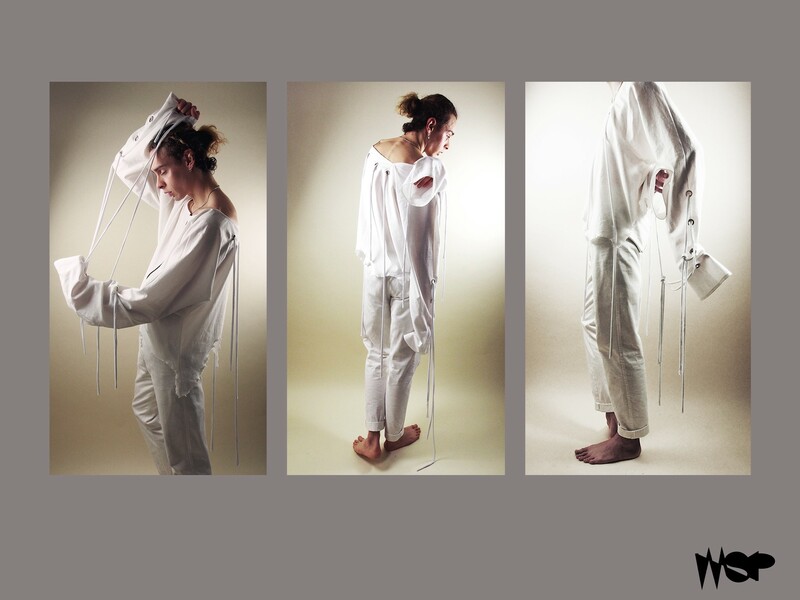 This is an interview with BA Fashion CSVPA student Adrianna Lee. Read about her aspirations, projects and how CSVPA has helped her achieve and excel so far. I’m a 1st year BA fashion student and I specialise in menswear, previously I have also completed a two years Extended Diploma course here at CSVPA so this is actually my third year at this uni. What made you stay on to do BA? First of all, CSVPA provides very professional facilities, such as the industrial sewing machines, gerber (digital pattern cutting tool), iMacs for individual students and more. Second of all, being in a small group for class gives me a lot more chances to get advice and help directly from my tutors, which is frankly quite important and handy in my subject since technical skills in fashion doesn’t just come naturally or can be revised during self-direct period. Third of all, CSVPA is great at hiring friendly and talented teachers, I know this by experience. At the moment, I am working towards a career as a Fashion Designer however throughout the years at CSVPA I discovered more about myself and ended up developing my interest in craftsmanship. Honestly, I think I’d suit being a pattern cutter. Especially as I have been told during my second year Extended Diploma course by my tutor that I am more creative technically in terms of things like sewing and pattern cutting. Here, I started to make more 3D samples in my sketchbooks, I put the most effort in the making than the research, the final garments worked out nicely. The industry is also really lacking in pattern cutters and I have heard is pretty good pay too so hopefully! So far, what projects have you enjoyed so far? My BA course has just begun but I enjoyed a lot of the research and design process on my Anthropology project. I enjoyed this because it was mostly self driven and throughout the project I was given a lot of courage and advice from my tutor. When the Anthropology project was first given to us, a lot of people thought about the cross-cultural side of research, however I looked into social anthropology. And what is the hottest topic in 2017? Donald Trump, obviously! So, I started looking into the American politics, and also did some fun experimental artworks with Trump’s hair; I bought an old-man blazer from a charity shop like Trump’s and draped it on a mannequin, I looked into ethical fashion designer Katherine Hamnett who prints political slogans on her T-shirts; Vivienne Westwood who once drove a tank to David Cameron’s home in fracking protest and her son Joe Corre who burns £5 million worth of punk memorabilia in against the Queen celebrating the 40th anniversary Anarchy of the UK. I had came across to this documentary called the ‘13th’, it is about how the American government has an ongoing issue in racial inequality and that the ratio of African-American incarceration is so disproportioned. With all this research I created a range of relevant samples and experiments, and when it came to designing I had so many ideas: prison uniform, orange, military, camouflage, slaves, chains, punk, patches, safety pins, protests, slogans and etc. I don’t if you have a brief idea by now but its pretty clear how this collection is coming together and then is the fun part which you make the garment! I didn’t have a specific style before I came to CSVPA, I wasn’t a great drawer but later on I discovered that I’m actually not too bad at it. It’s just the matter of finding what the medium that expresses myself the best. I now do my illustrations in a couple of ways, either using magazine and illustration collage or my signature fashion illustration with the skulls like figures influenced by artists like Tim Burton, John Booth and Helen Bollock. I like anything that is quirky, imperfect and unique in its own way - I’m not a big fan of trend also, I really admire Alexander McQueen because he is an innovator, he never follow trends and he build his own empire of fashion. He’s really cool. I’m very looking forward to my third year collection and see my garments walk down the runway. Thank you CSVPA. I can’t, because I’m only at the end of my first year, it’s a bad habit to plan your designs ahead before given a brief, things could change a lot in two years time - the environment and the politics wouldn’t be the same anymore. 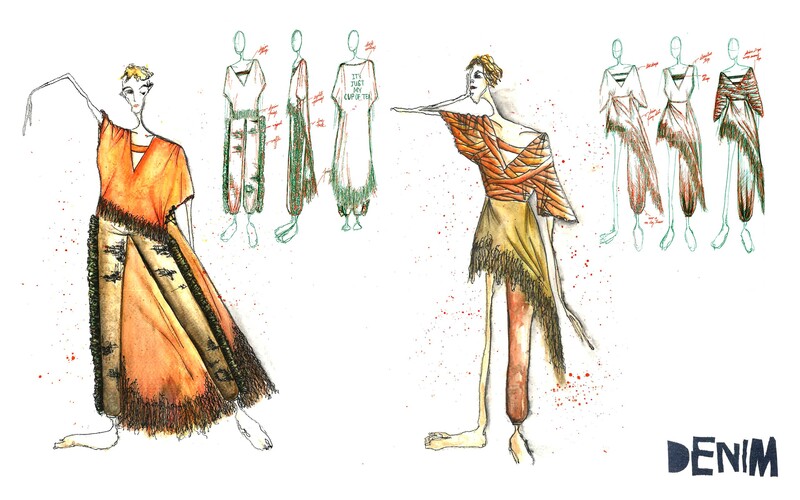 Although, I will make sure my third year collection is not just clothes, its also conceptual. Maybe a revolution. What are the top two pieces of work you are most proud of? Everything and anything. Most of my works are personal interests based which I guess is my biggest motivation, do what you like. BA course happens a lot slower compared to the foundation course as its three years long obviously, being a first year student it’s really vital for me to make the most of these three years to maxima my technical skills. On the other hand building a creative mindset, which CSVPA is definitely the ideal place to be providing the amounts of one to one tutorial session with my design tutors has helped me immensely. Thankyou Adriana for taking part! We hope you carry on your journey with equal motivaton and creativity. Best of luck!